Jubilee Insurance has spread its sphere of influence throughout the region to become the largest Composite insurer in East Africa, handling Life, Pensions, General and Medical Insurance. Today, Jubilee is the number one insurer in East Africa with over 450,000 clients. Jubilee Insurance has a network of offices in Kenya, Uganda, Tanzania, Burundi and Mauritius. It is the only ISO certified insurance group listed on the three East Africa stock exchanges – The Nairobi Securities Exchange (NSE), Dar es Salaam Stock Exchange and Uganda Securities Exchange. Its regional offices are highly rated on leadership, quality and risk management and have been awarded an AA- in Kenya and Uganda, and an A+ in Tanzania. · Receiving all company visitors as the first point of contact. · Answering all incoming calls, routing the calls to the relevant department/ person. · Provide professional and competent telephone operator service both internally and externally on all aspects of telecommunications to and from the switchboard. Jubilee Insurance was established in August 1937, as the first locally incorporated Insurance Company based in Mombasa in 1937. Jubilee Insurance has spread its sphere of influence throughout the region to become the largest Composite insurer in East Africa, handling Life, Pensions, General and Medical Insurance. Today, Jubilee is the number one insurer in East Africa with over 450,000 clients. Jubilee Insurance has a network of offices in Kenya, Uganda, Tanzania, Burundi and Mauritius. It is the only ISO certified insurance group listed on the three East Africa stock exchanges – The Nairobi Securities Exchange (NSE), Dar es Salaam Stock Exchange and Uganda Securities Exchange. Its regional offices are highly rated on leadership, quality and risk management and have been awarded an AA- in Kenya and Uganda, and an A+ in Tanzania. 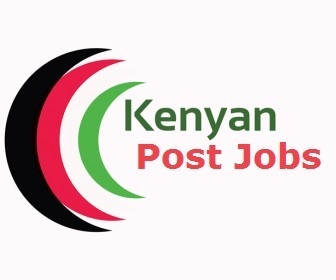 Applications to be sent to Recruitment@jubileekenya.com quoting the Job Reference Number and Designation given above before 17th December 2018.